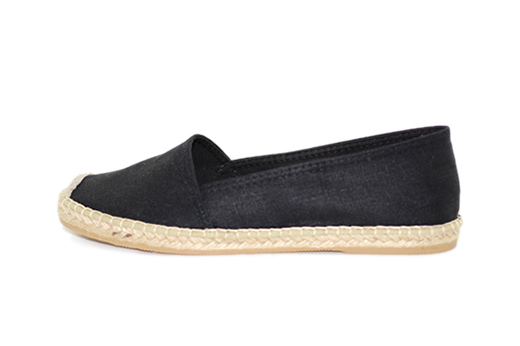 These women's Classic Low espadrilles in Black canvas offer the perfect amount of simplicity and style to pair with your favorite t-shirt & jeans or even compliment a little black dress. This espadrille style has a thinner sole compared to our Classics. Handmade in Spain, Laro Espadrilles provide a comfortable vulcanized rubber sole and the classic espadrille braided jute lining.